Gardaí are conducting two reviews following the incident. GARDAÍ ARE CONDUCTING a review of security measures at Áras an Úachtaráin following an incident that occurred last Friday. It’s understood that a woman drove into the grounds of Áras an Úachtaráin and walked into President Michael D Higgins’ residence unchallenged. 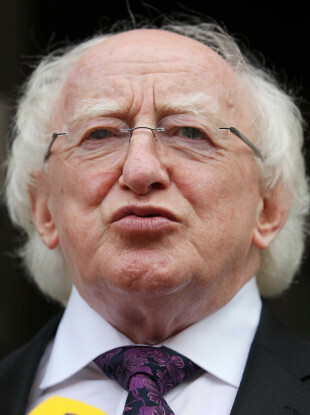 The story was first reported today by the Irish Daily Mail, which said the woman found Higgins in an office and confronted him about the housing crisis. The newspaper states that Higgins engaged her in conversation and defused the situation. It says the woman was spoken to by gardaí after the incident and left the property voluntarily. A spokesperson for An Garda Síochána told TheJournal.ie the organisation “does not comment on the detail of security arrangements for the President”. TheJournal.ie has contacted the Office of the President for comment. Email “Security at Áras under review after woman 'walks unchallenged into President's office' ”. Feedback on “Security at Áras under review after woman 'walks unchallenged into President's office' ”.